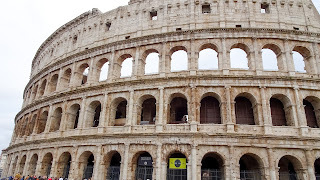 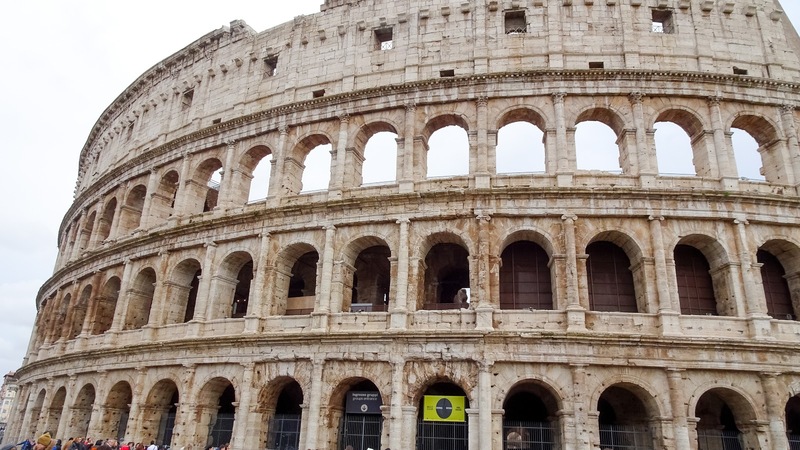 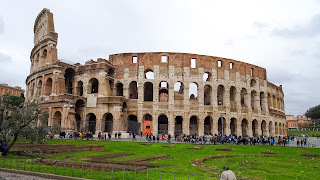 Home / Europe / Italy - When will the colosseum fall apart? 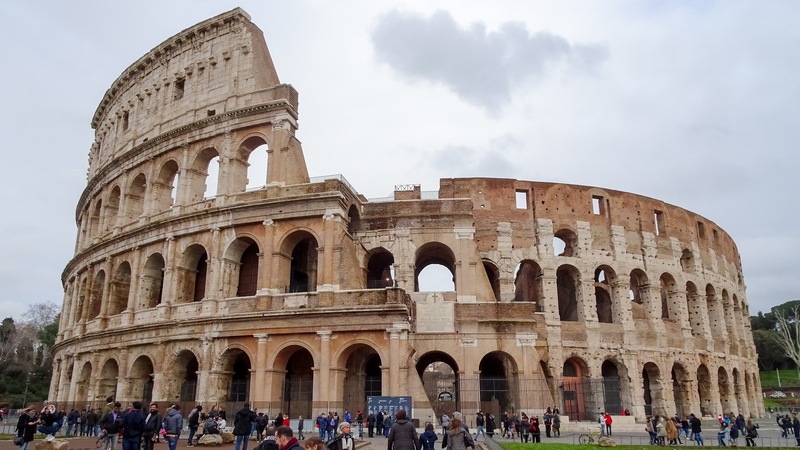 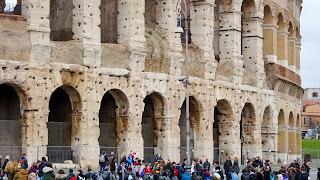 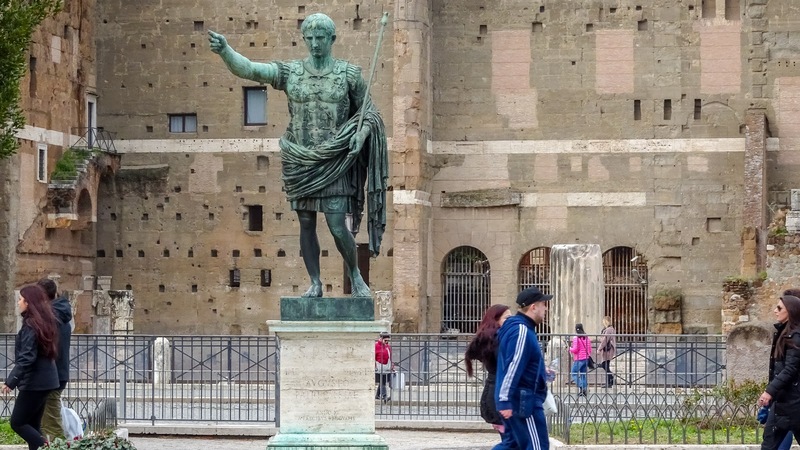 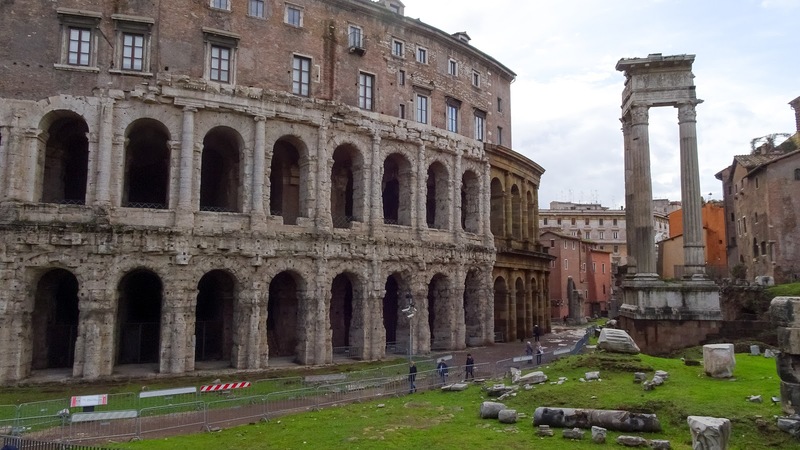 Italy - When will the colosseum fall apart? 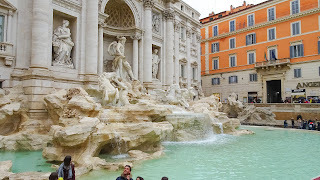 How could I miss out such a cool place? 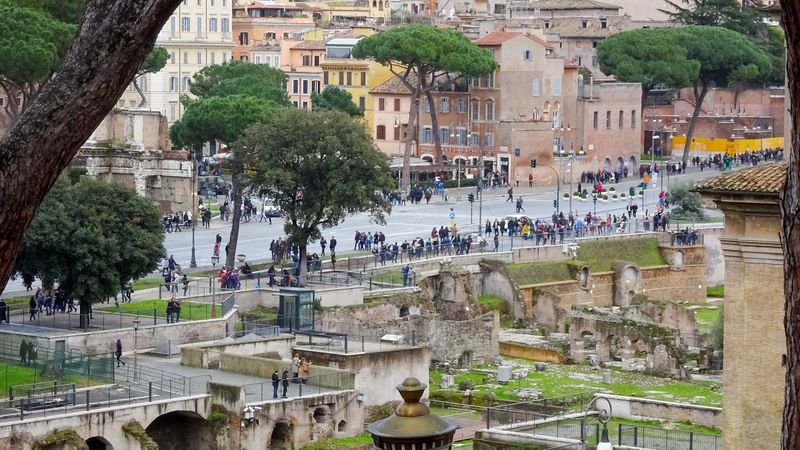 Maybe yes, there are armies and hordes of tourists from all over the planet, covering every inch of the streets between the sights to see, but nevertheless, it was a real pleasure to visit this place packed with ruins. 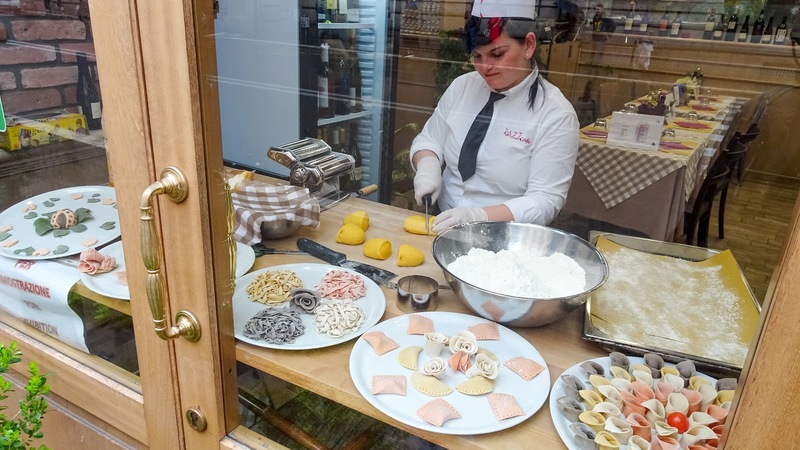 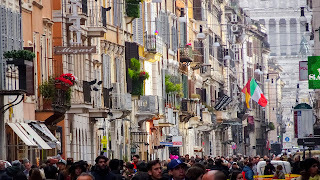 Have been to Italy a few times, but never even close to Rome. And somehow this makes me wonder why didn't I manage going there before. 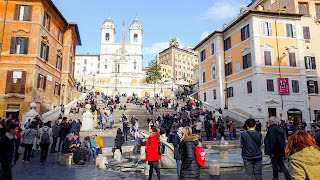 Arrived here on Friday evening and left on Sunday afternoon. 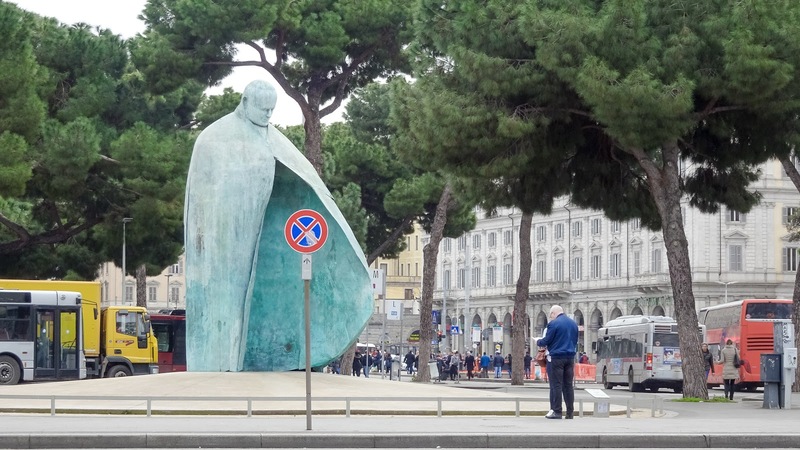 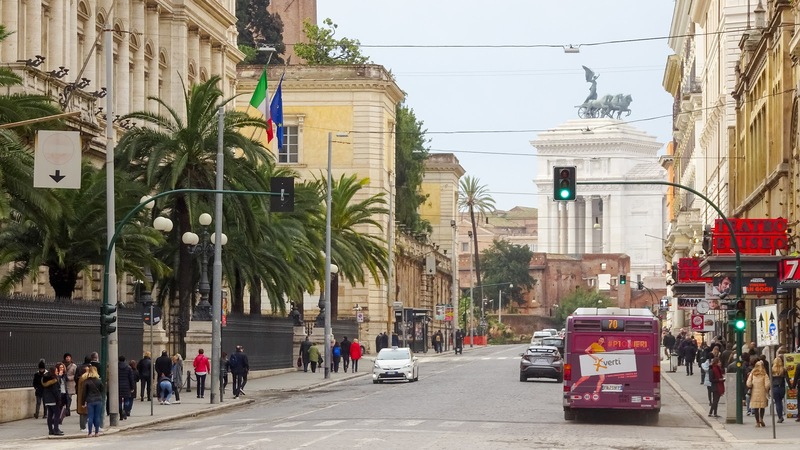 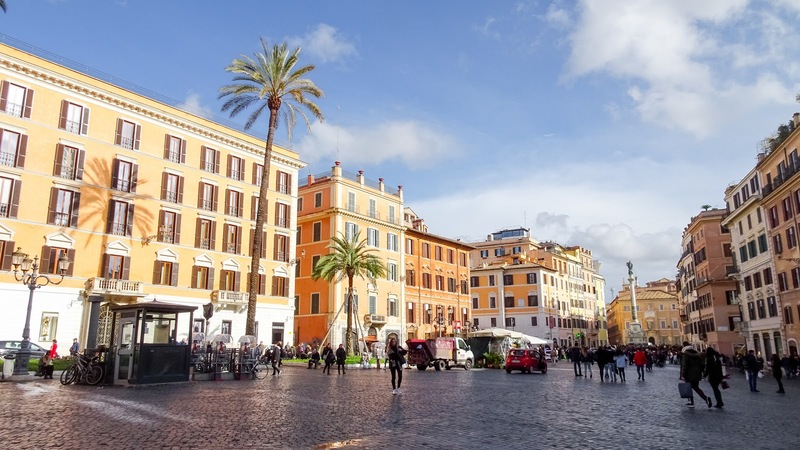 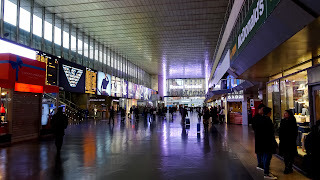 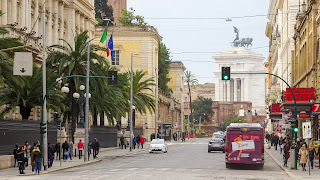 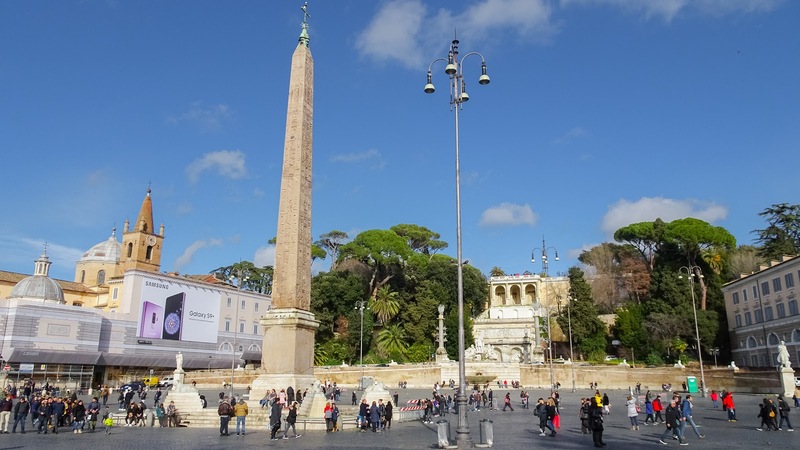 Unfortunately, the airport is not within close distance to the city center and it takes a half hour, but with the comfortable Leonardo Express train its a journey without hassle, directly from the Airport to Rome Termini, the central station. 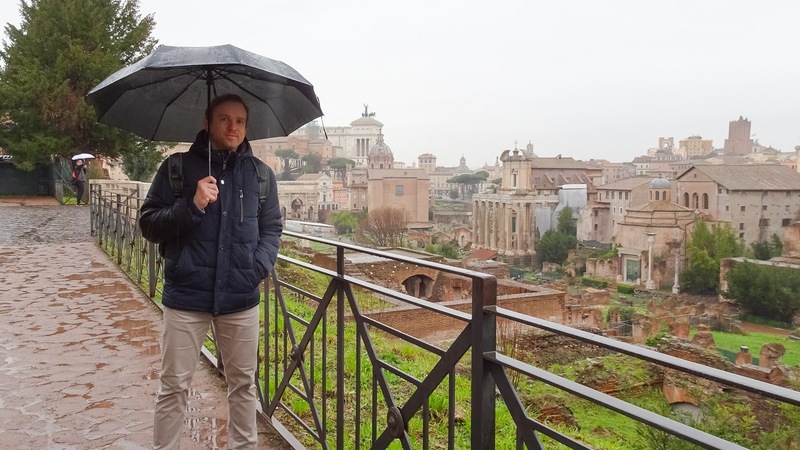 When I arrived at the hotel I asked for a map and they asked me what my plan is for the weekend. 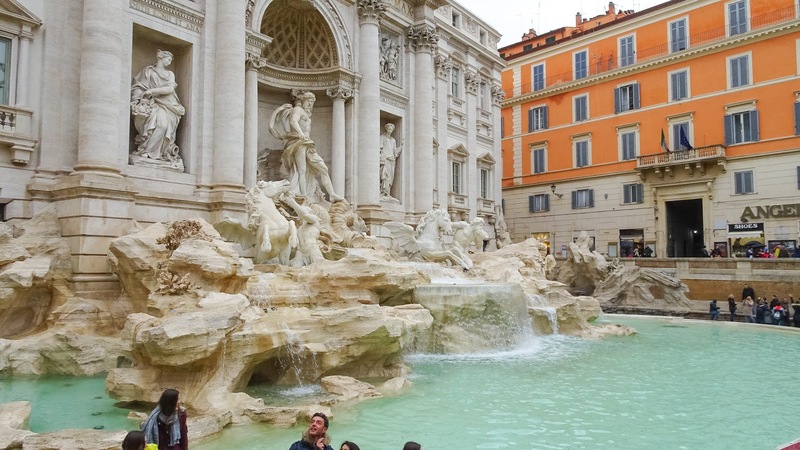 Told them that I intend to visit these places, pointing out almost all things to see which were on the tourist map, and they just laughed. 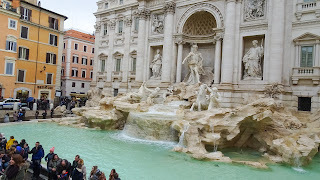 It's not possible, you don't have enough time and it's too far. 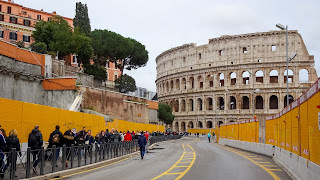 You can visit either this Area or this Area, but not both, impossible. How only did the ancient Romans have so much time to build all these monuments and castles while eating pizza and pasta? 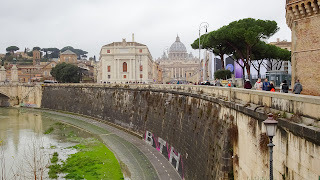 Had to use the time now on this Friday to figure out the best route to walk so I have a chance to cope everything that I planned to see. 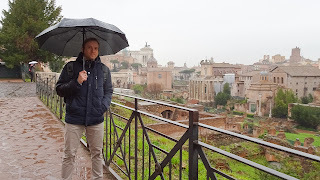 And that meant I had to get up at around 6am on Saturday. 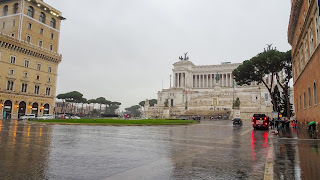 The weather was bad. 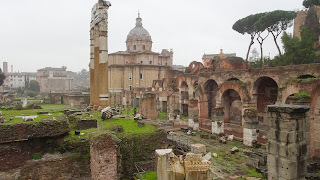 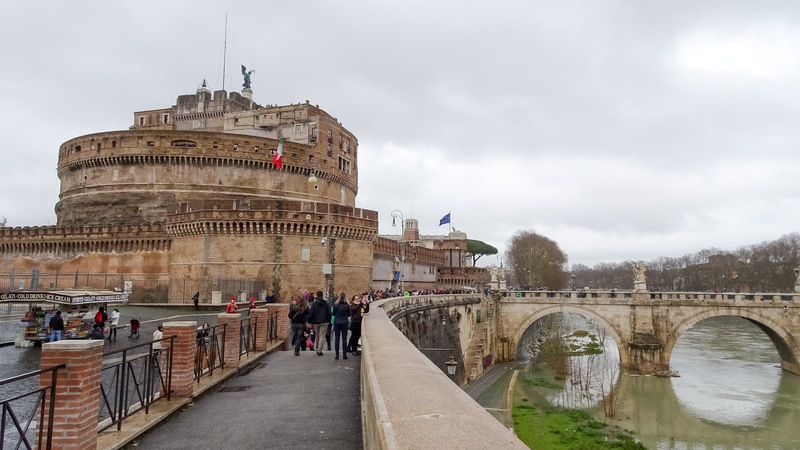 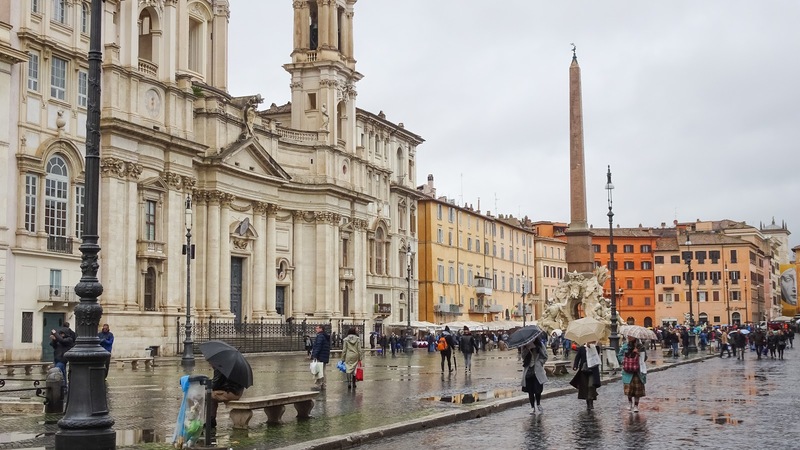 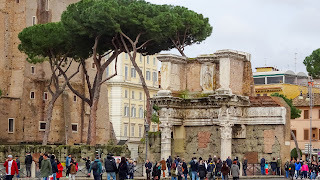 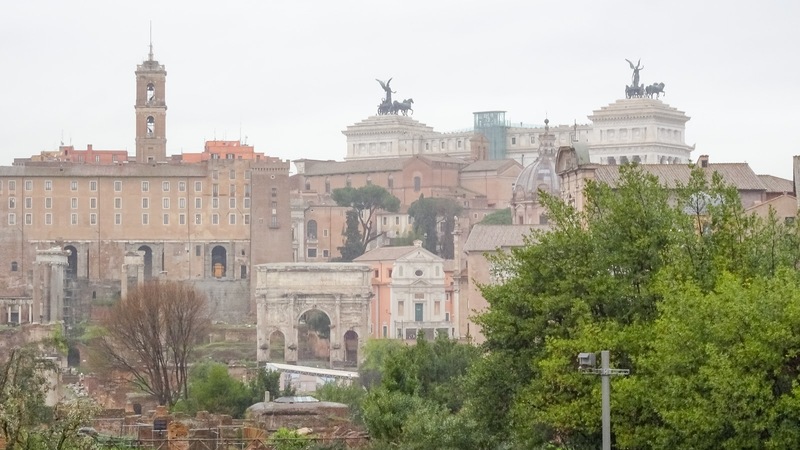 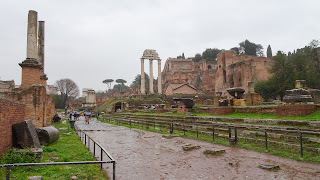 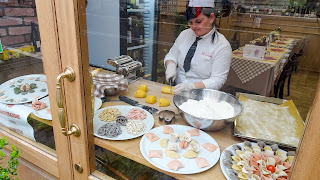 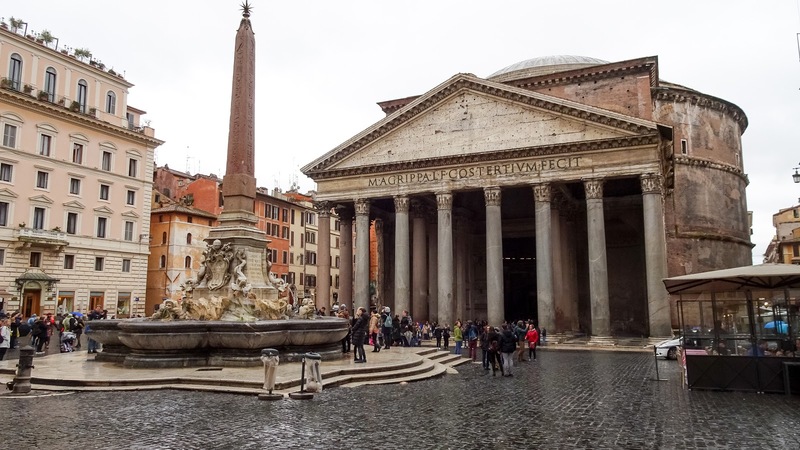 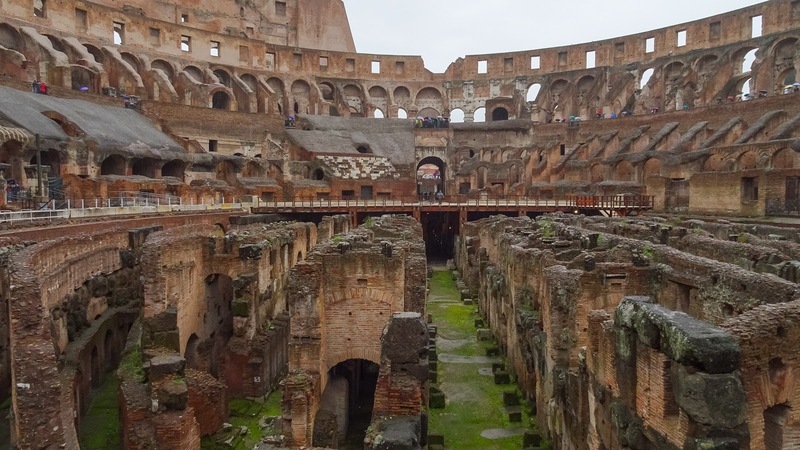 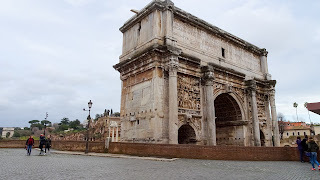 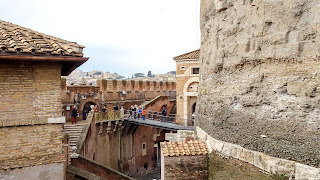 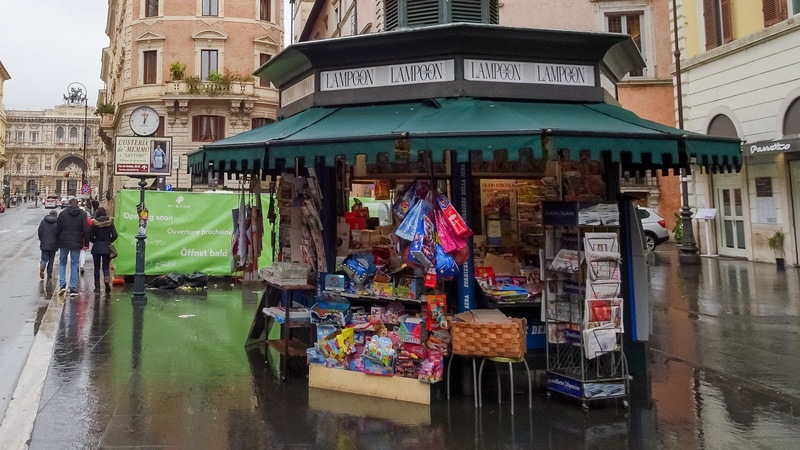 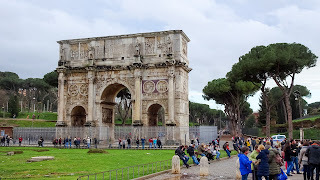 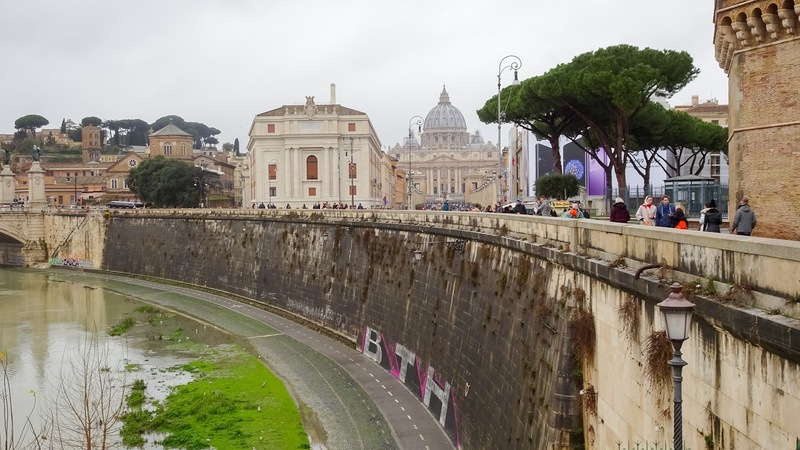 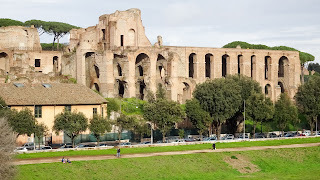 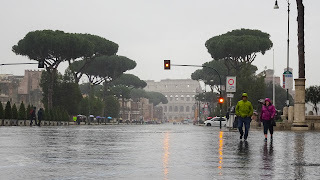 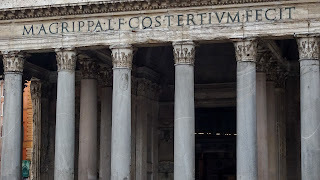 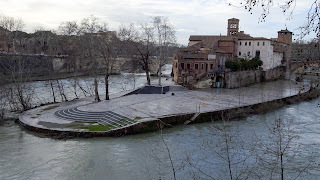 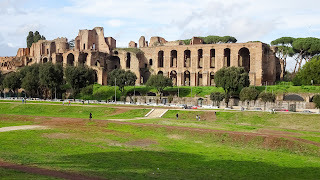 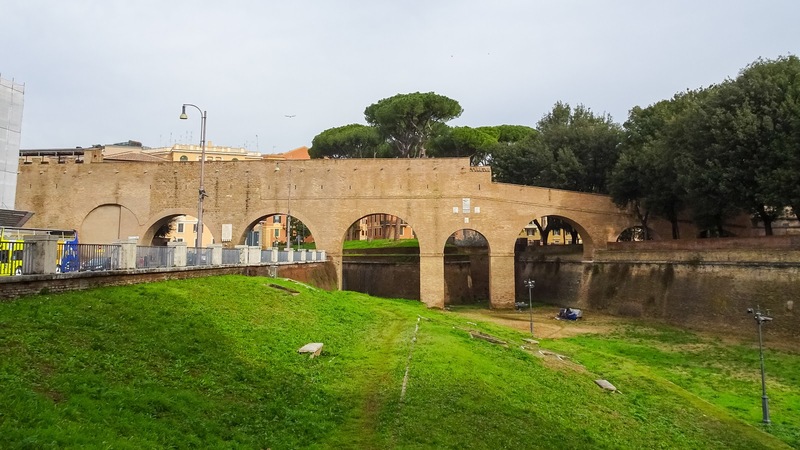 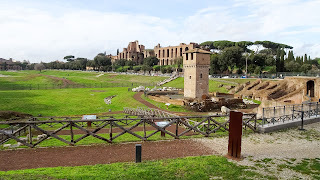 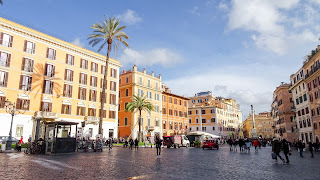 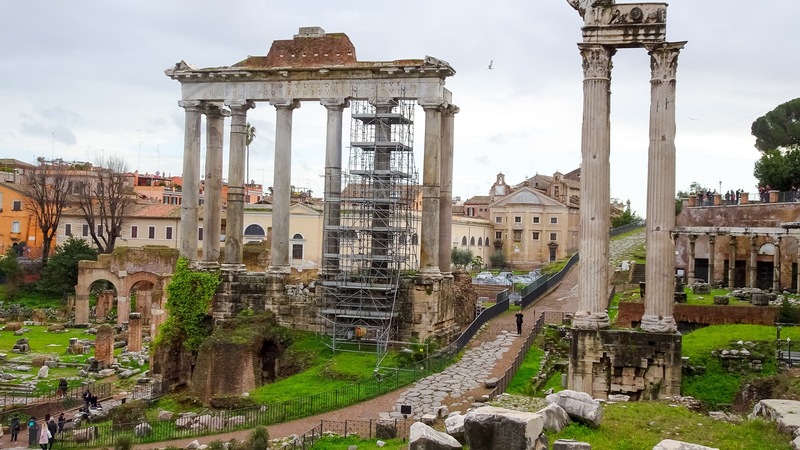 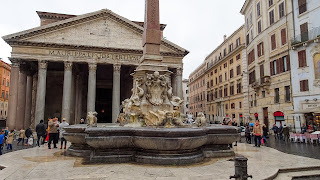 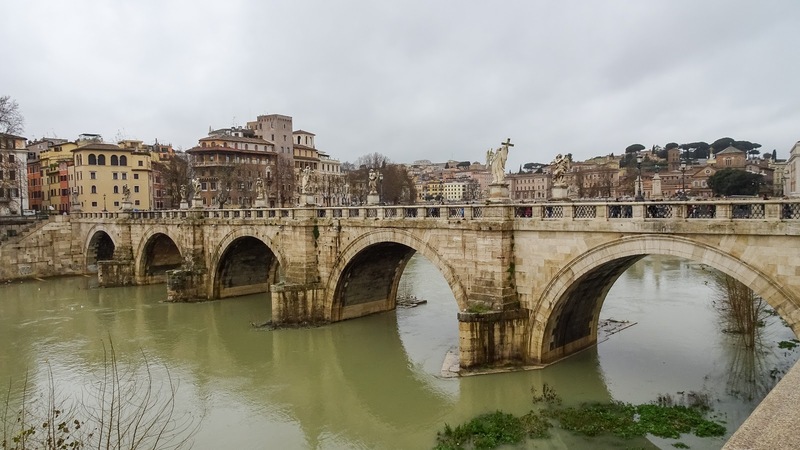 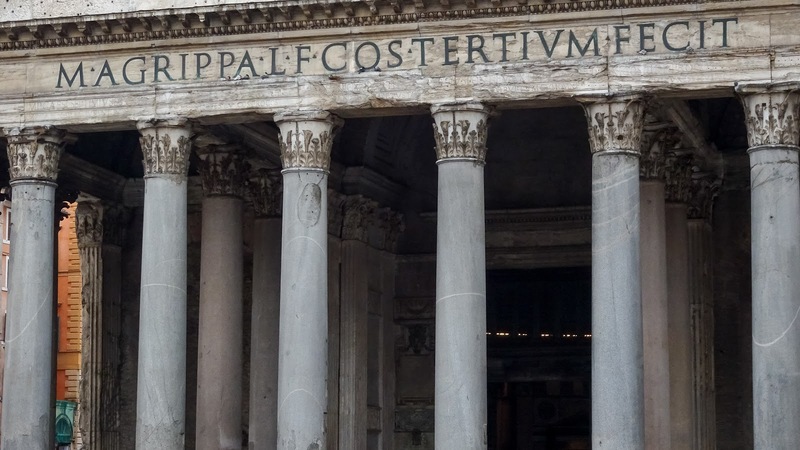 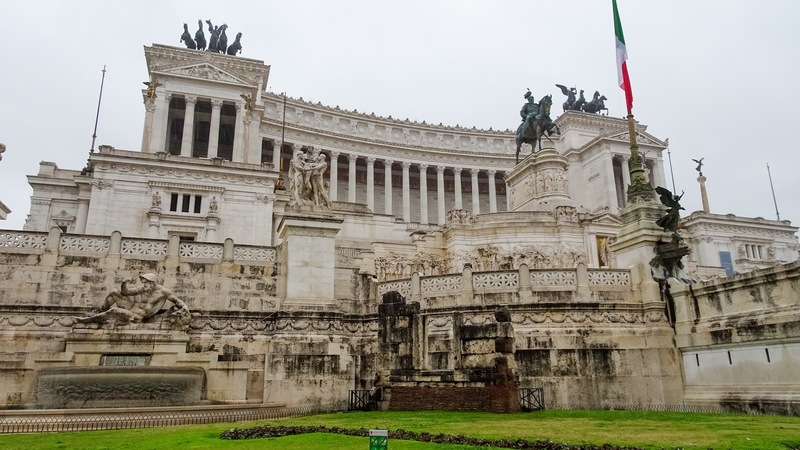 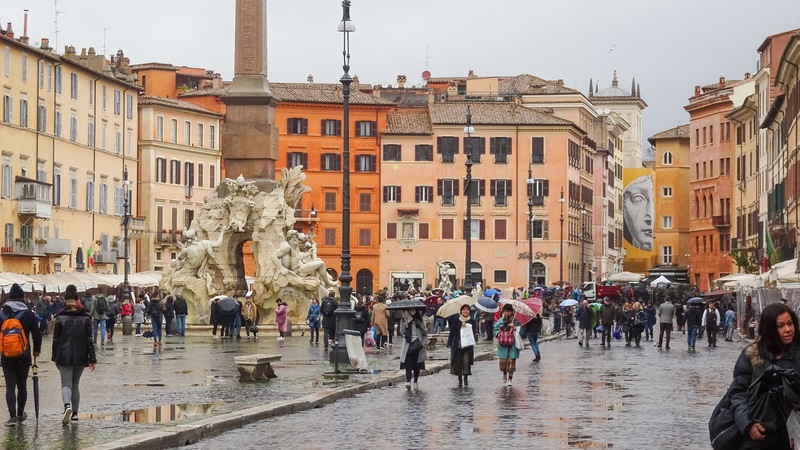 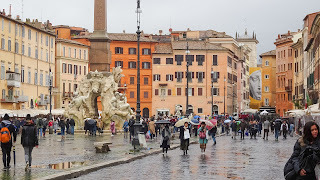 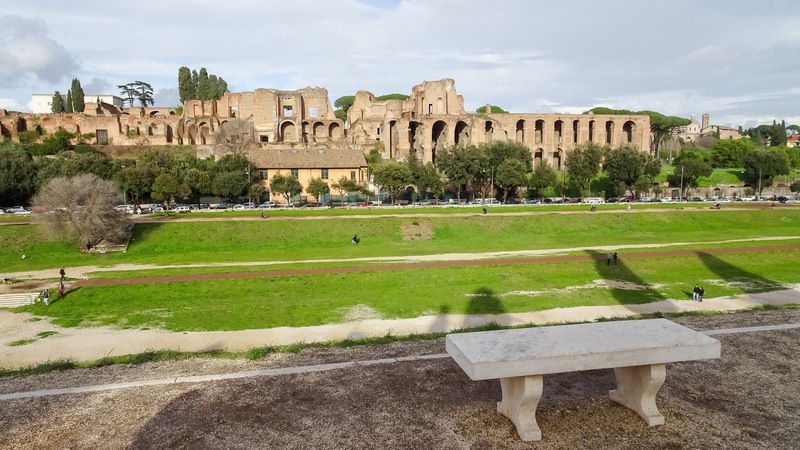 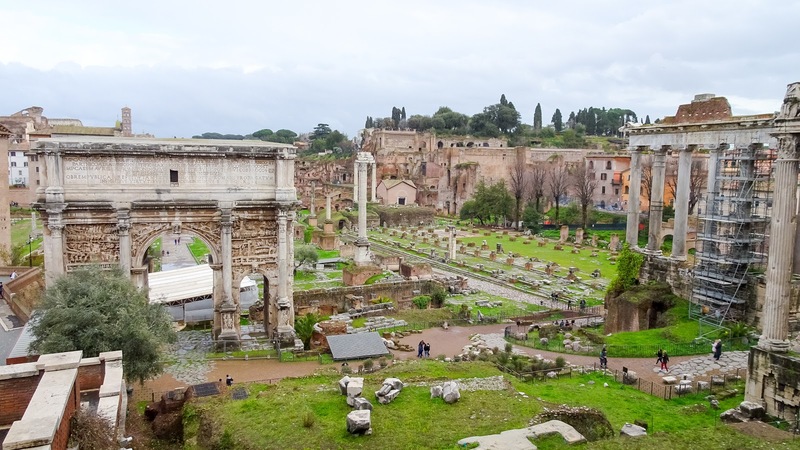 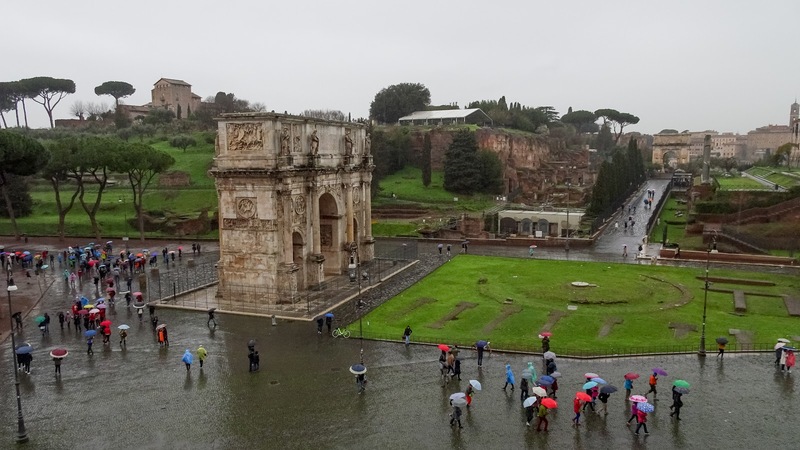 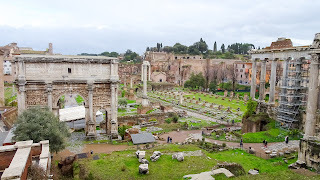 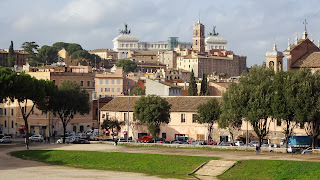 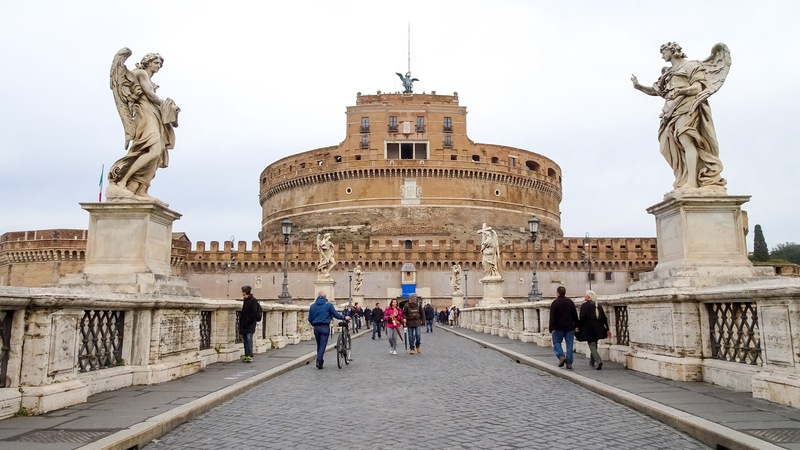 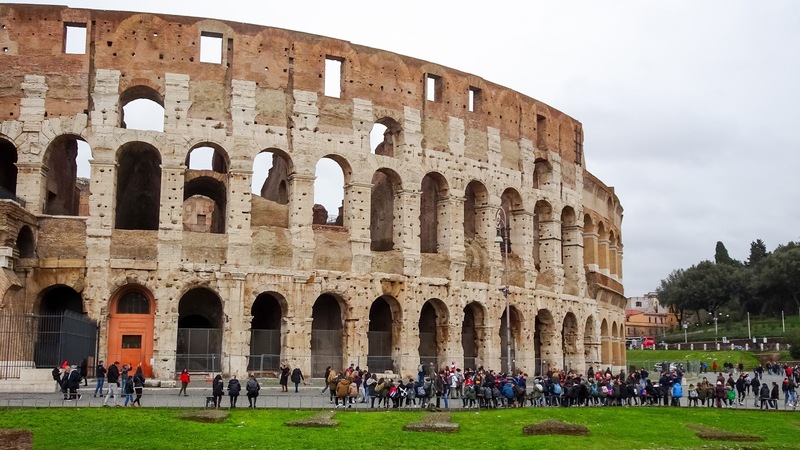 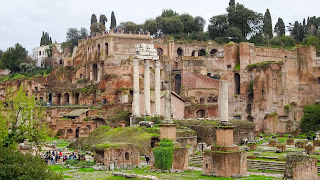 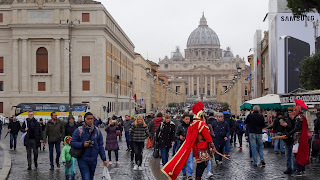 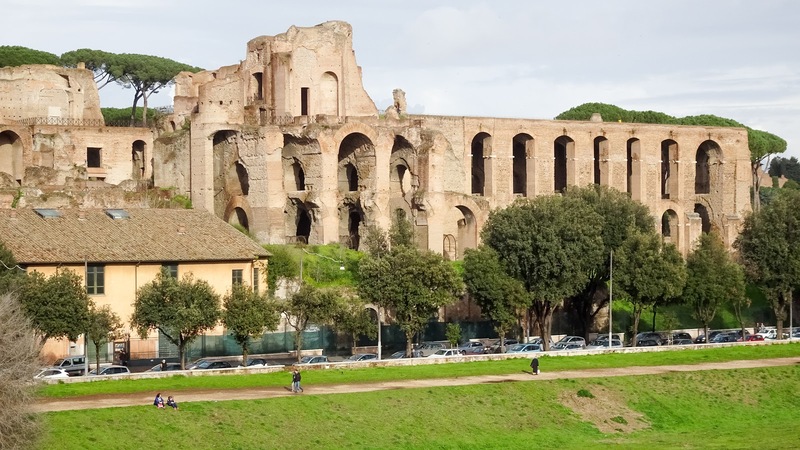 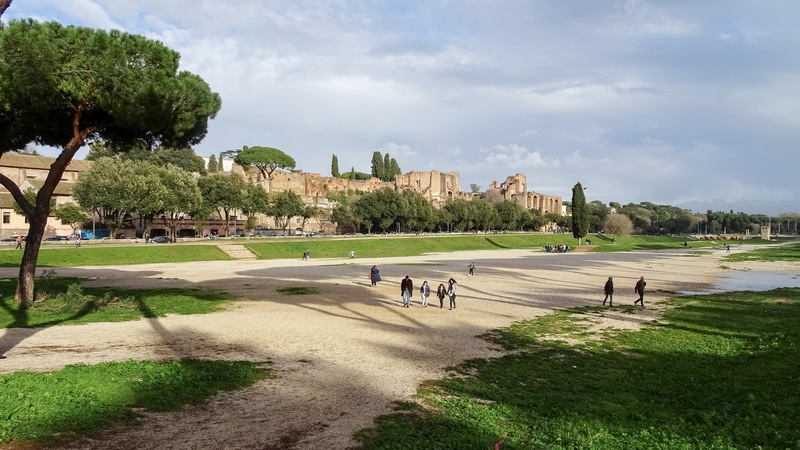 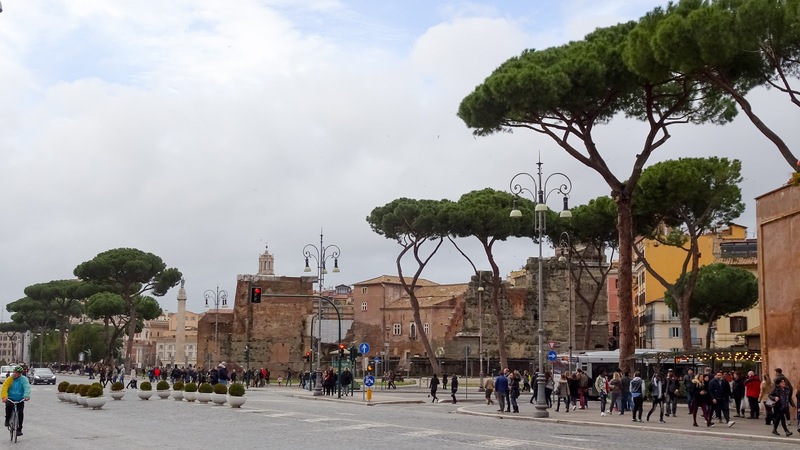 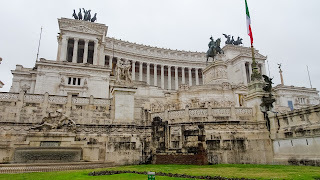 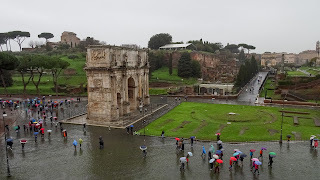 It rained almost all Saturday and especially in the morning, there was heavy rain when I went visiting the Colosseum, Palatine Hill, and the Roman Forum. 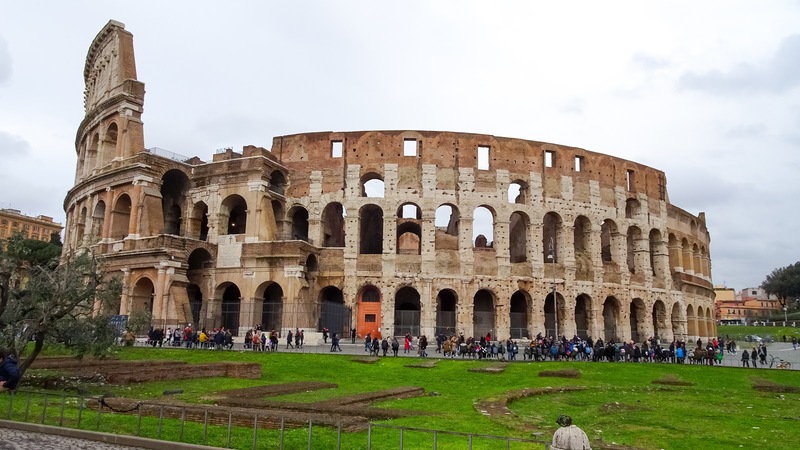 But all three, absolutely impressive. Thankfully it changed later to a sunny Saturday afternoon. 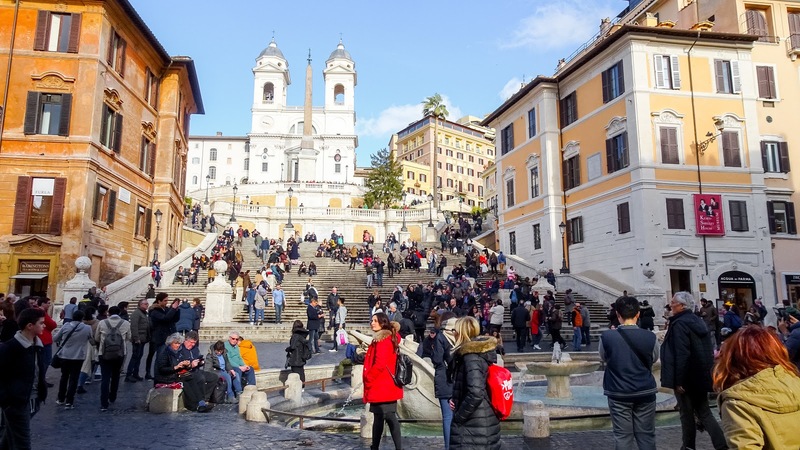 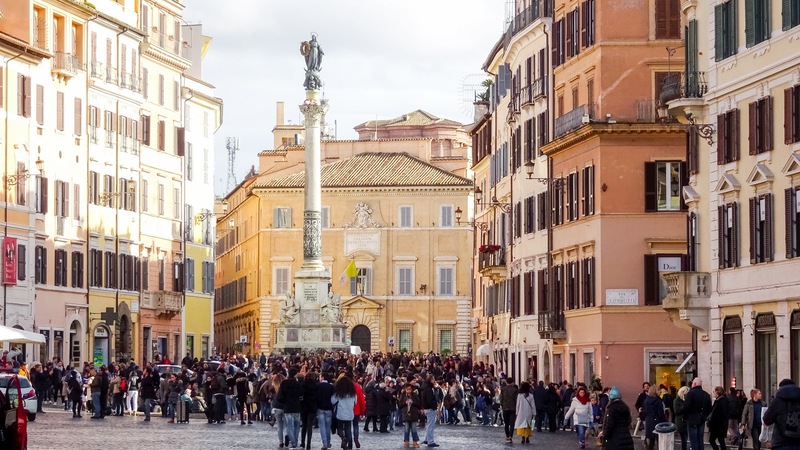 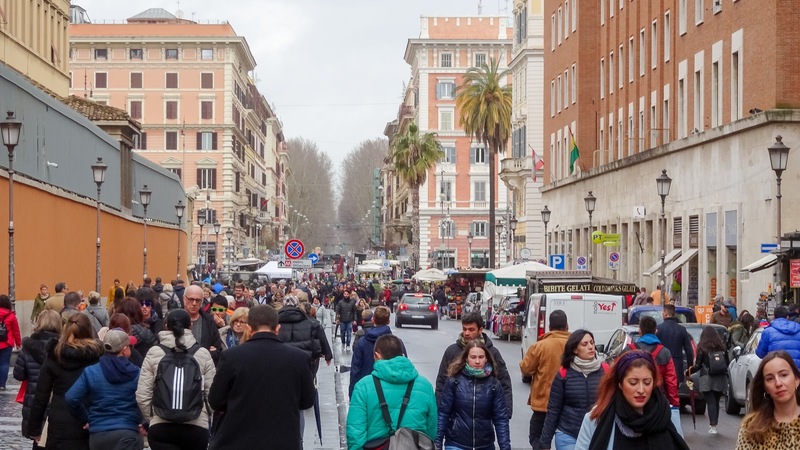 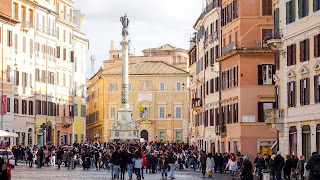 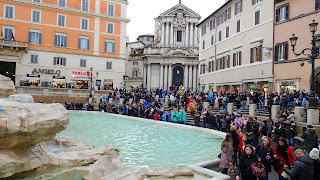 Strategically walked the route that I planned the day before while always in constant observation of the remaining time, I had to crawl through the masses of people standing in front of the Trevi Fountain, which has hundreds of coins in it. 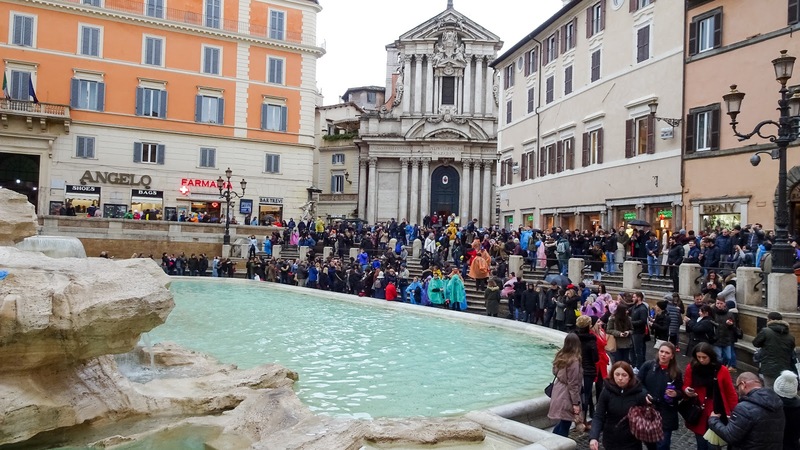 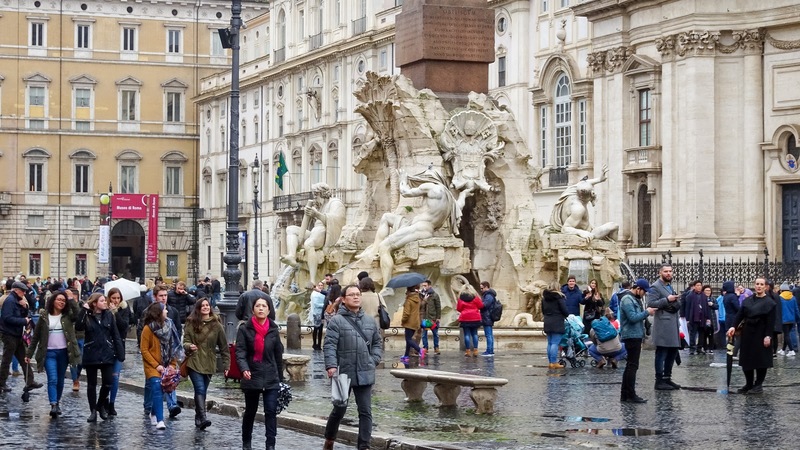 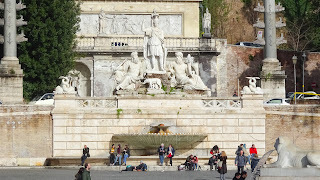 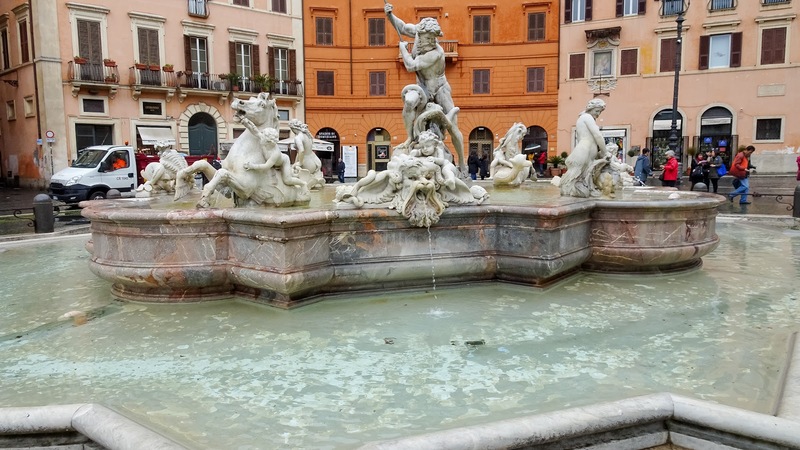 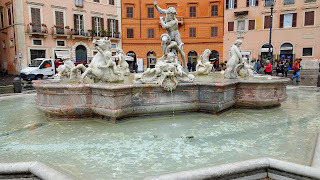 I always wondered why the money in the Fountain doesn't get stolen but when considering all the tourists around it, it's probably more secure than many banks in Italy. 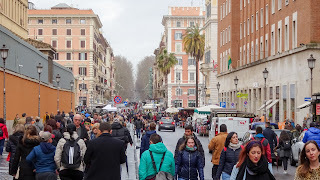 My planned route contained almost 20 points of interest but not going to mention each of them here, as almost all of them is worth a paragraph. 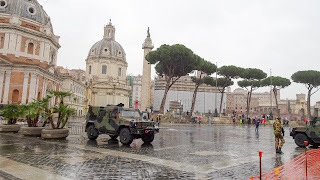 However, after the Area in Italy, I went to the Vatican and tried to find the pope and his popemobile. 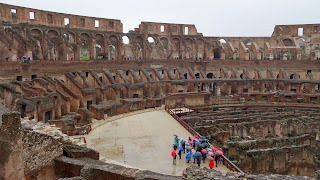 The Colosseum breaks.. and breaks.. and.. 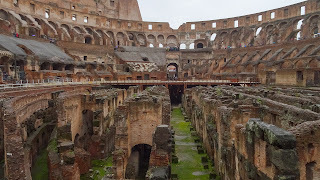 When climbing up and down the stairs in the Colosseum, I was wondering how long this building will remain as it is. 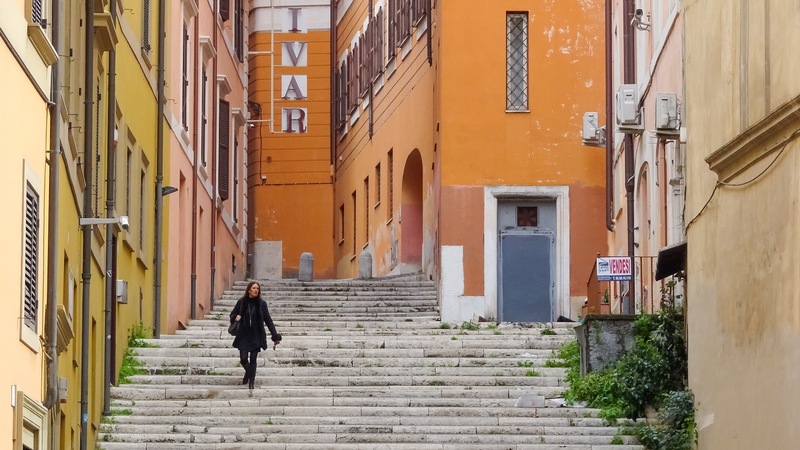 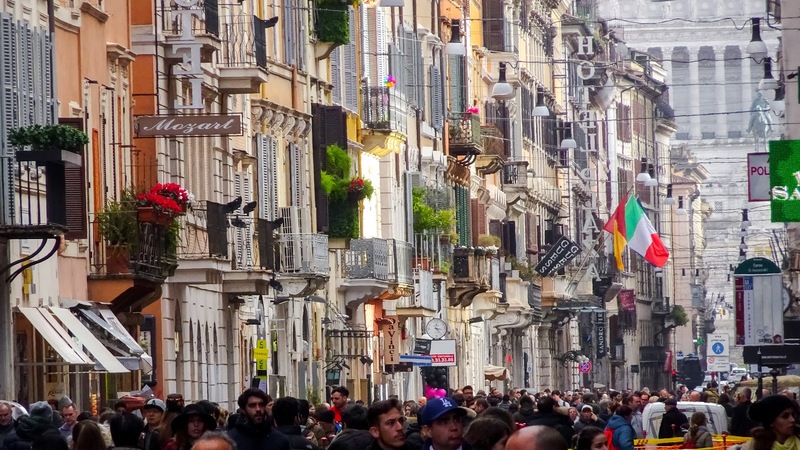 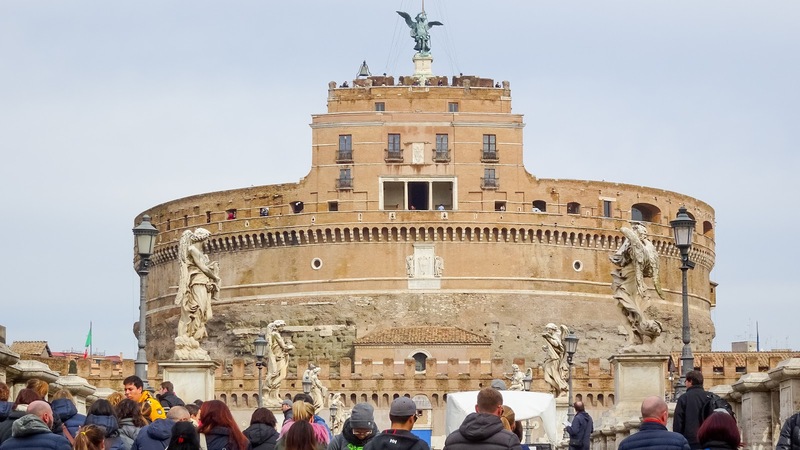 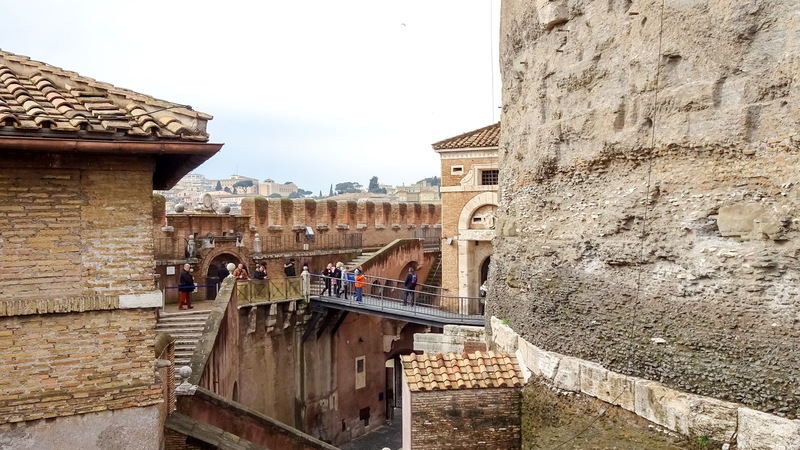 There are many restorations going on all year long, but if these are enough to prevent the damage which the thousands of visitors every day are causing, while just walking around? 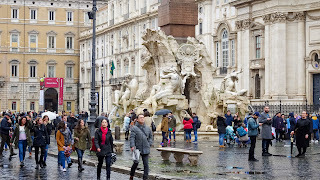 One day some tourists might be a few too much and this thing breaks apart. 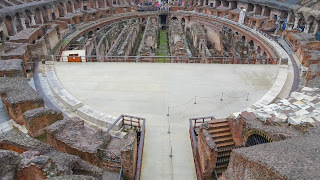 Standing in the one and only famous Colosseum and imagine how it must have been back then when the Gladiators were fighting each other or against some Kenyan lions, bears or elephants, in front of Ceasar.